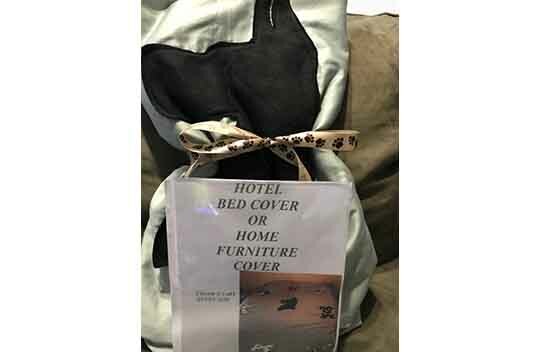 I can’t believe how creative people are and this is another item, I’m going to be putting a bunch of raffle tickets in the little baggy for – A bed/furniture cover. I have always used a cover on a cover on hotel beds. I would love this to use on hotel beds in the future. It’s AWESOME!! !